For many of us, we would assume the purchase of an expensive, exotic sports car would be enough to generate special attention. Vehicles from manufacturers such as Lamborghini, McLaren and Ferrari assembled in lower numbers annually than the monthly output of common mass production names. However, the same creative desire propelling many of us to personalize a Honda Civic, Chevrolet Camaro or even the odd minivan is also a trait for those who can afford a six-digit priced car. After bankrolling the cost of a beautiful piece of Italian mid-engined motoring such as the Ferrari 458 Speciale, it makes sense an individual can afford to go a little bit further. Making 1 of 499 Ferrari 458 Speciale models a special one-of-a-kind sports car, Ferrari was commissioned to create the 458 MM Speciale. The Ferrari 458 MM Speciale was built for an unidentified British owner who clearly wanted to express admiration of a classic Ferrari through the composition of a modern example of the sports car. Ferrari Styling Centre essentially created an all-new vehicle using the underpinning of a 458 Speciale that includes a 4.5-liter V-8 engine and seven-speed dual-clutch transmission. Conforming to customer requests, the Ferrari 458 MM Speciale’s styling touts a number of unique touches that redefine the vehicle’s aesthetics and reconsiders the aerodynamic flow of the car. Aluminum along with composite carbon fiber has been handcrafted by Ferrari Styling Centre. The Ferrari 458 MM Speciale receives a reconfigured front air dam highlighted by reshaped air openings and a pronounced splitter. 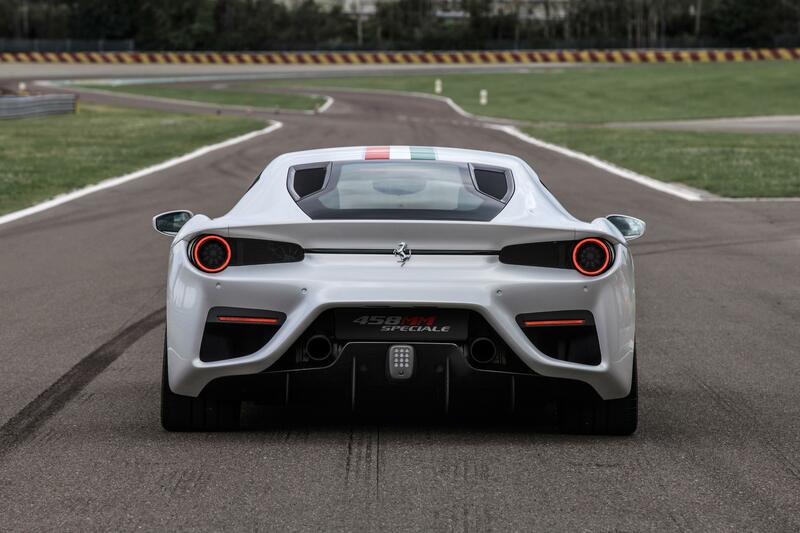 At the rear of the 458 MM Speciale, the tail section is dramatically different from the traditional 458 Speciale. Employing a more aggressive rear diffuser design drawing attention to the lower center of the sports car, a deck lid spoiler integrated into the bodywork contributes to an altered look for the taillight presentation. Wheels for the 458 MM Speciale are exclusively matched to the vehicle faintly resembling the spoke pattern design found on the Pininfarina-designed Ferrari P4/5 show car. The new persona for the Ferrari 458 MM Speciale also declares touches of the 1984 Ferrari 288 GTO. On the driver and passenger side, the supercar wears a side air scoop ahead of the rear wheels. Distinguishing the 458 MM Speciale, the side scoops also functions as a new source for allowing airflow to the engine bay. A less sophisticated but still drawing detail of the 458 MM Speciale is the ‘visor’ effect created by painting the vehicle’s A-pillars black. Covering the unique bodywork is Bianco Italia paint as well as a red, white and green center stripe mirroring the appearance of the Italian flag. 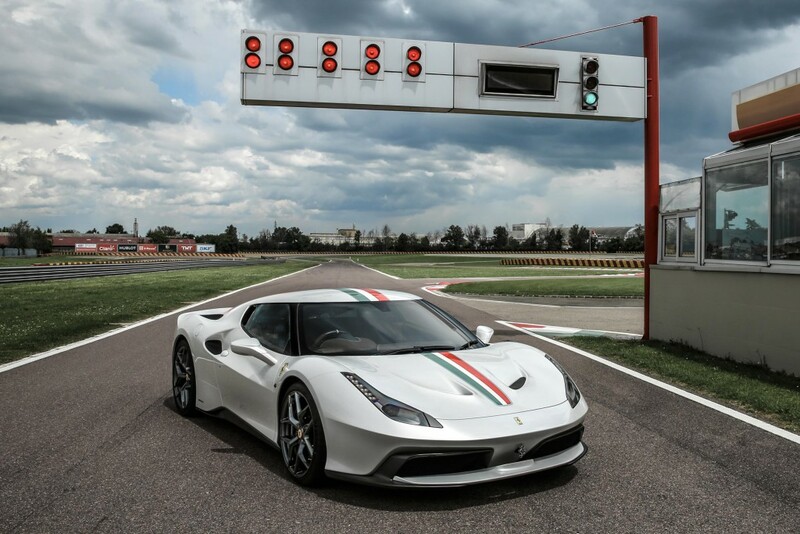 Customization has also been performed to the cockpit of the 458 MM Speciale. Cioccolato leather is accented by the use of white stitching and satin white rings presenting center controls. The owner of the one-off Ferrari also opted for an upgraded audio system. 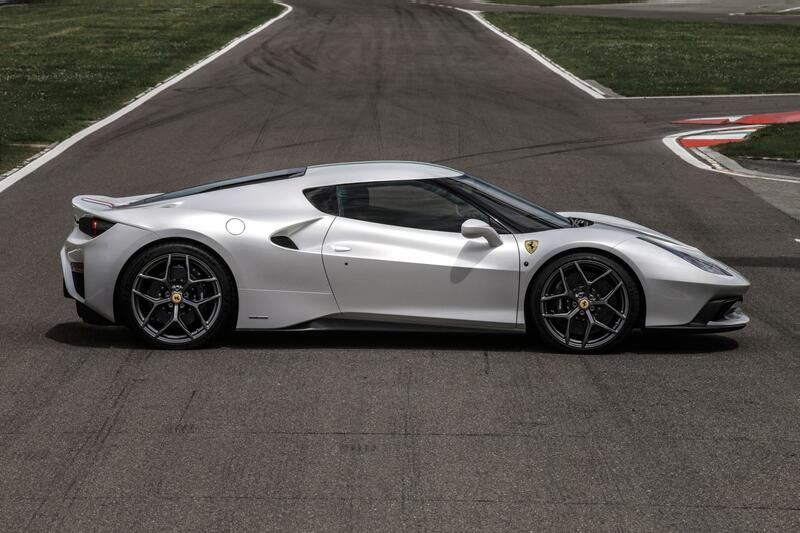 Ferrari did not produce a cost for creating the 458 MM Speciale. Simply said, it was probably not a concern for the owner who ordered the radical modifications. However, if the car is truly a spawn of a driver’s imagination, it’s safe to say the project was a worthwhile investment. Like Ferraris? Check out some of the coolest ones HERE.